Morrissey is back! The Smiths' iconic singer has announced a Thursday, Aug. 20 show at the Observatory North Park -- with a second night just added for Friday, Aug. 21! Stop us if you think you’ve heard this one before: Morrissey makes his long-awaited return to San Diego with an all-ages stop at the Observatory North Park on Thursday, Aug. 20 (which has subsequently sold out) -- and a newly announced second show on Friday, Aug. 21! Yoyeah, you read that right: The Smiths’ beloved frontman is coming to town. With August just around the corner ("how soon is now," indeed! ), Moz fans need to make with the quickness and snag tickets here immediately for the just-added Friday night show. It's onsale now. We admit it: there is high likelihood that we’ll be screaming "Please, please, please let me get what I want!" at our computer screens, but can you blame us? We love the guy. Following show announcements for the Foo Fighters, Taylor Swift, Van Halen, the Rolling Stones and Madonna, 2015 is shaping up to be a blockbuster year for live music in San Diego. 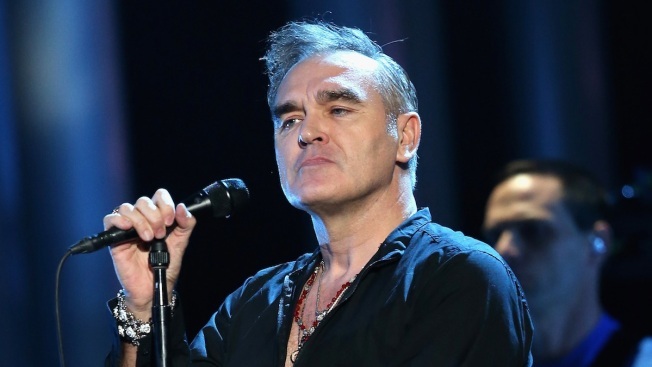 But now that the boy with the thorn in his side is set to strike America’s Finest City again, questions remain: Morrissey’s got a pretty bad touring track record, especially over the last couple years. Can we even rely on the singer to show up and perform? Will he require the West Coast Tavern to stop serving meat, as the notorious vegan is prone to do, even though they’re technically a separate entity? Will he play "Ask"? OK, that last one’s for us. In all seriousness though, kudos to the Observatory North Park for bringing the legend to town -- we’ve been hoping for a date with Moz ever since the closing note of his 2013 Balboa Theatre show. "Frankly, Mr. Shankly," we might just pass out when he takes the stage (if he takes the stage). After all, it’s not every day the man who fronted the band NME readers named as the "most influential artist ever" (even topping the Beatles!) hits our shores -- especially at such an intimate venue. San Diego, you’ve really got everything now. Morrissey performs at the Observatory North Park on Thursday, Aug. 20 (sold out) and Friday, Aug. 21. Doors are at 7 p.m., and start at 8. The Friday, Aug. 21 show is onsale now and tickets are $85. You can (try) to get those here.